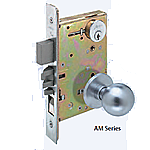 All facilities need patented key control to effectively secure exterior and interior openings. This strength of integrity allows security managers to have peace of mind when it comes to managing the system. Unfortunately, instituting a new key system is not always easy… or economical. Medeco X4 is an economic and efficient solution to rekeying needs. Medeco X4 has one of the largest master key capabilites on the market, allowing facility managers to tie everything together under one key for ease, convenience and efficiency. Additionally, Medeco X4 easily retrofits into existing systems, significantly reducing installation time. Medeco X4 is the perfect security upgrade for small format interchangeable core (SFIC) installations. In addition to SFIC cylinders, Medeco X4 is also available in many other styles of retrofit cylinders that can all be keyed into a single system. Includes two keys. Additional keys can also be purchased. High Security with Patented Key Control prevents unauthorized duplication. 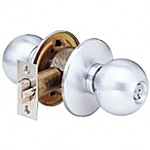 Medeco X4 cylinders are warranted for two years against manufacturer’s defects. The Medeco X4 retrofit cylinders are ideal for any application requiring key control and physical security of your cylinders.